A pattern for a simple kimono sleeved blouse that I originally wrote for Making Magazine in 2015. 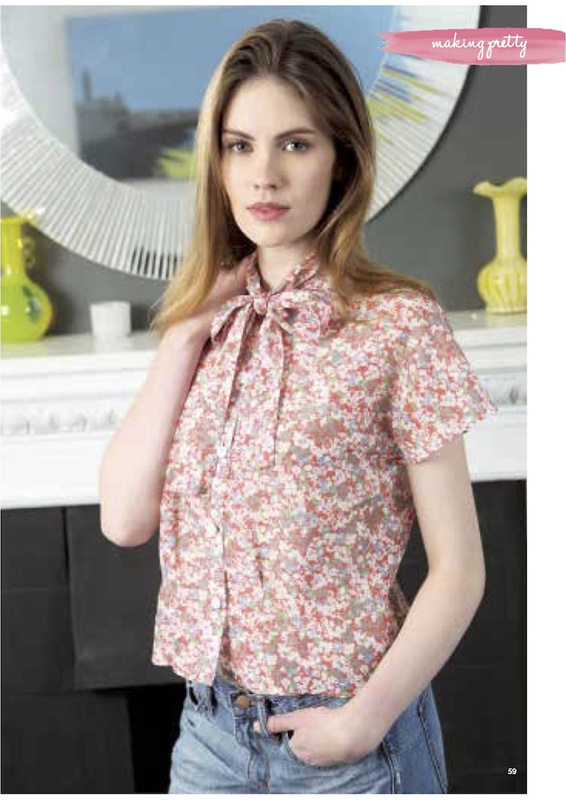 The blouse buttons down the front and is given shape by a number of waist tucks. The neck ties with a bow. I’ve also added a diagram in the pdf showing how to do a FBA to the pattern.